Primary use for the Kid Transit hooks. To allow you to hang bags or other baby accessories from your pushchair, stroller, buggy, or pram. The hooks should be correctly attached and it is recommended that you do not exceed 5KG per hook. You can combine two hooks if you would like to carry heavier items. 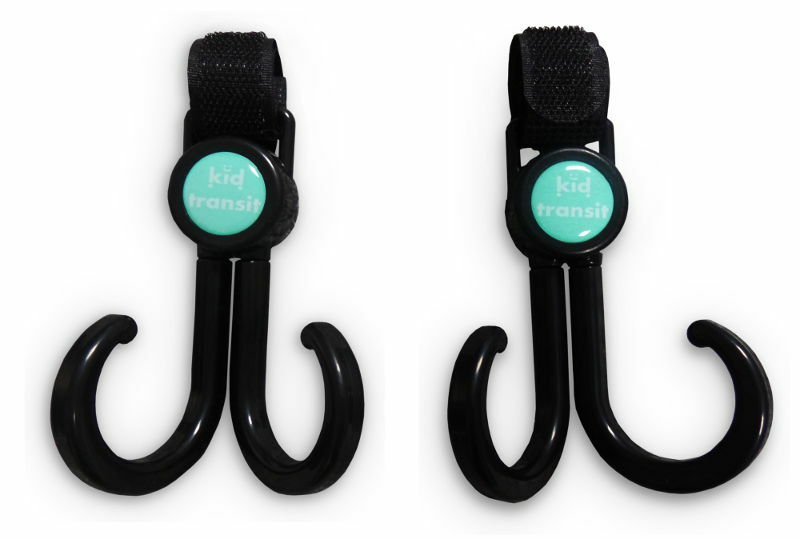 What the Kid Transit hooks are not!!! 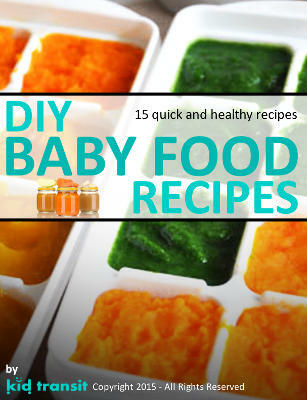 The hooks are not a toy and should not be given to your baby/child. How to use the stroller hooks. DON’T put too much weight on the hooks. DON’T apply spike loads to the hooks (don’t drop or quickly apply your bags to them, instead slowly and carefully load the hooks). DO ensure the maximum possible integration of the Velcro hooks and eyes. The hooks use Velcro for their attachment. Velcro works by having two sections that integrate with each other, one section has thousands of tiny hooks and the other section has thousands of tiny eyes and it is the interaction of these hooks and eyes that cause the Velcro to grip very strongly. The more hooks and eyes that are in contact the stronger the bond between them. It is very important that you attach the hooks correctly. Failure to do so can cause them to come off and can damage the grip of the Velcro (meaning they will not grip well afterwards). If the Velcro grip rips open it can straighten the hooks and pull open the eyes meaning they will no longer grip together. 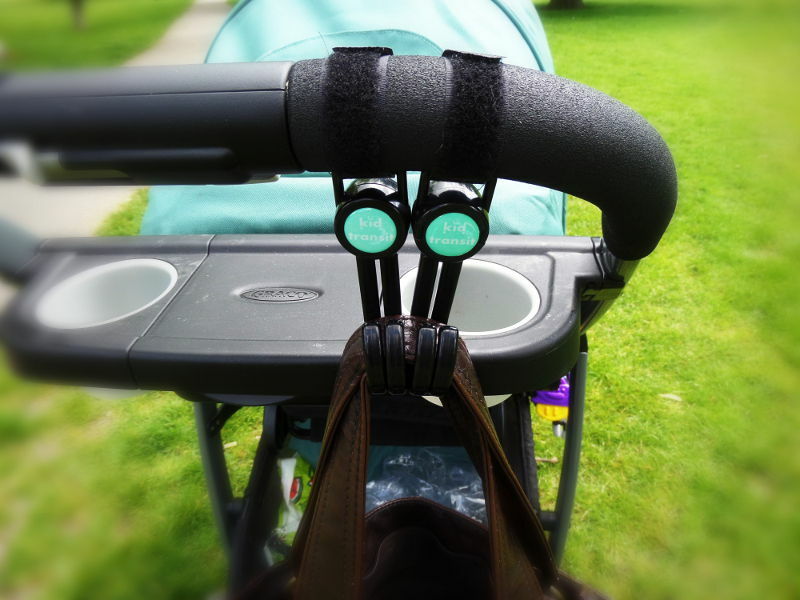 The video below shows how to correctly attach the stroller hooks. Aim to get as much of the Velcro grip overlapping as possible and push down on the Velcro attachment area to ensure the best possible integration of the hook and eye Velcro sections of the grip. The amount of Velcro that is attached is proportional to how much strength the grip has. We recommend that at least 50% of the Velcro is in contact to provide a strong enough grip. Once the hook is firmly attached make sure you push down to engage the two sides of the Velcro as much as possible. 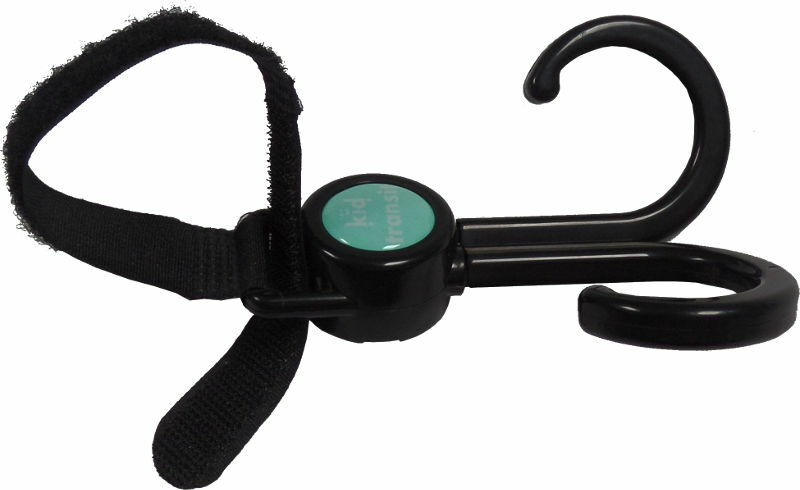 Pull down on the hooks to ensure a strong and secure fixation. Do not impact load the hooks by dropping a bag on to the hooks or sharply applying the load of a bag. This impact loading will spike the loads on the hook and could elevate it to beyond the safe weight usage and cause the grip attachment to fail. Also, when you are using the hook minimise swinging or bouncing of the bag on the hook. Again this can elevate loads on the hook and cause the grip to fail. We recommend that a maximum of 5KG is placed on a hook. If heavier loads are carried we recommend these are placed over two hooks as shown below.